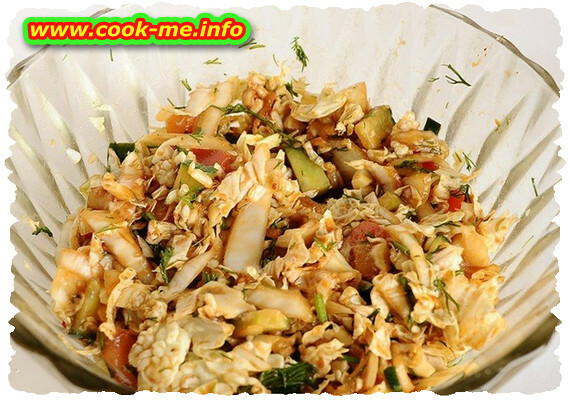 Spicy salad, but very delicious and goes well with a glass of Pepsi or a glass of red wine! Cleaned and washed mushrooms are cooked in water with a little salt and a little lemon juice. After 15 minutes, drain, cut slices and put in a salad bowl. Pour over sauce made ​​from garlic, pepper, salt and lemon juice, stir and sprinkle with parsley.